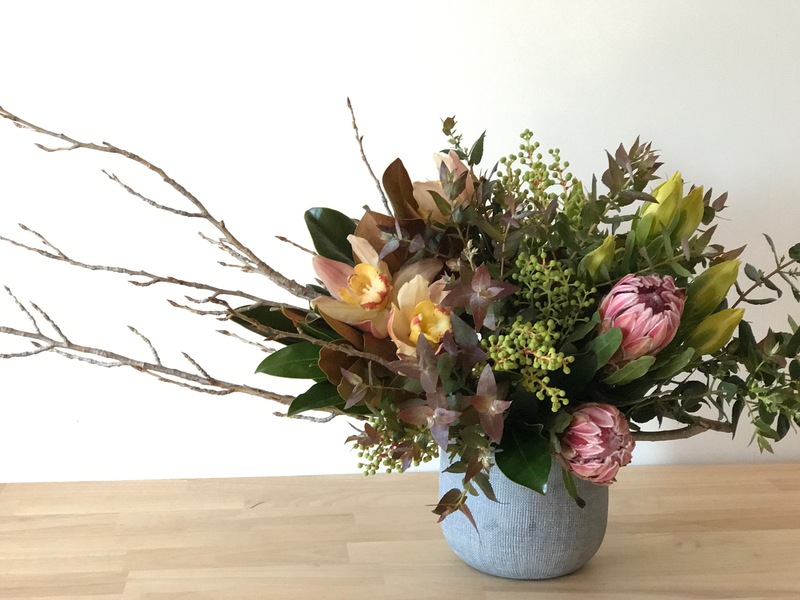 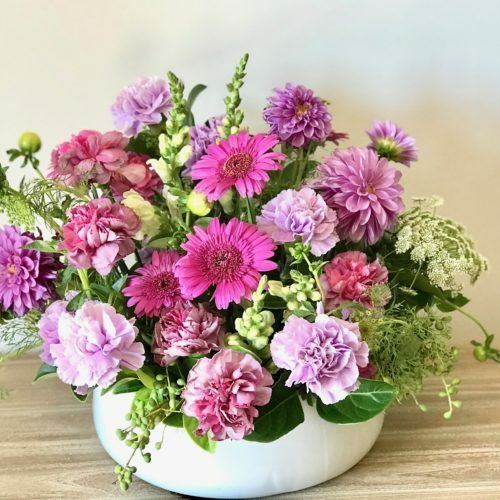 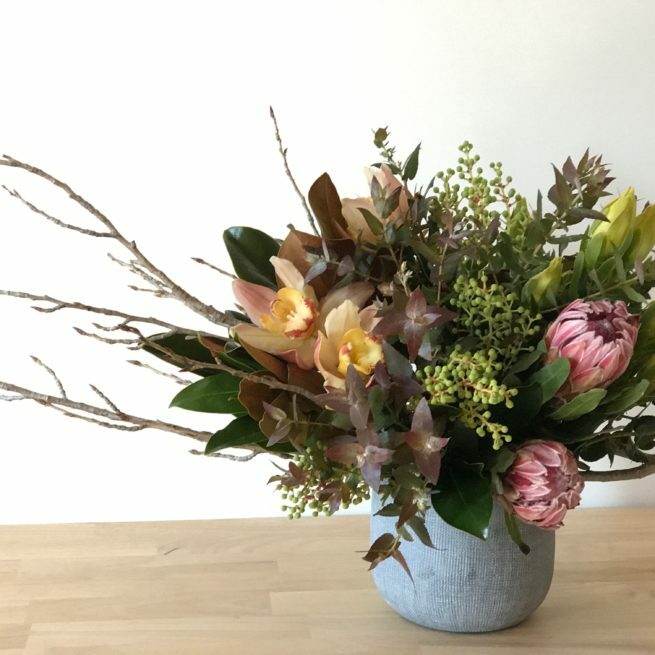 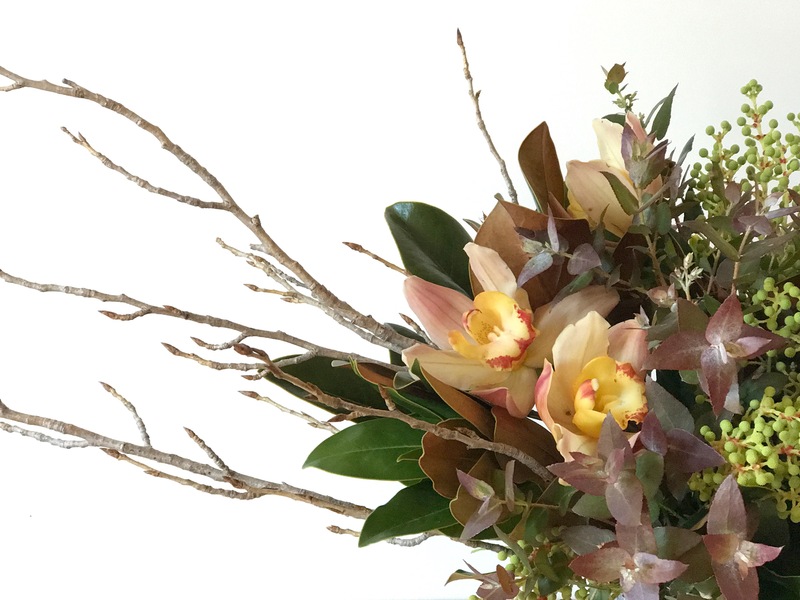 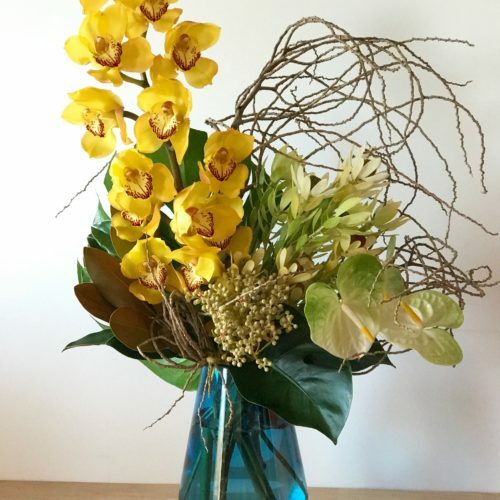 A clustered non-structured posy arrangement of seasonal blooms – full of texture and warmth! 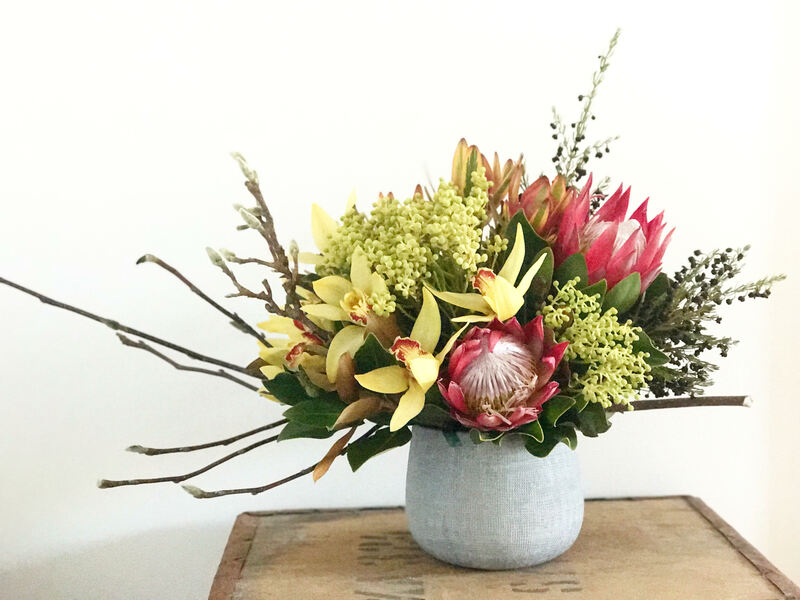 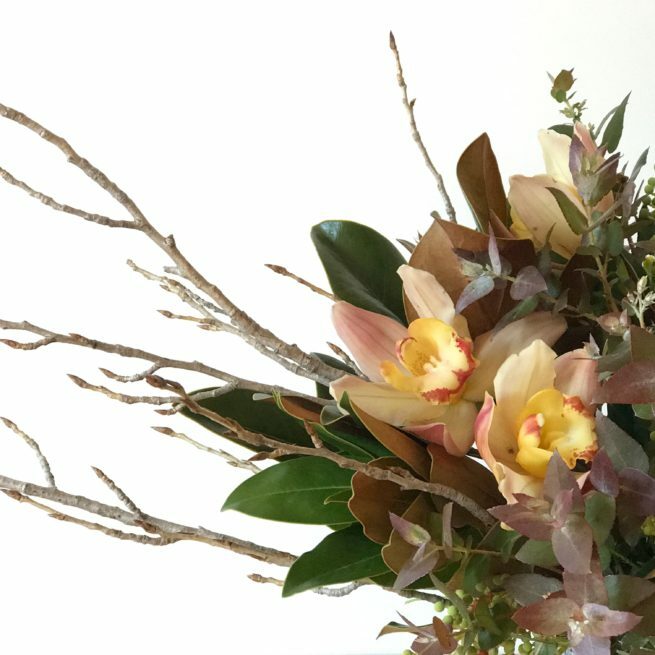 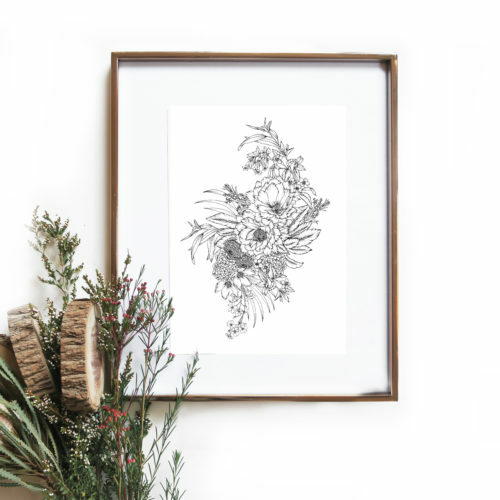 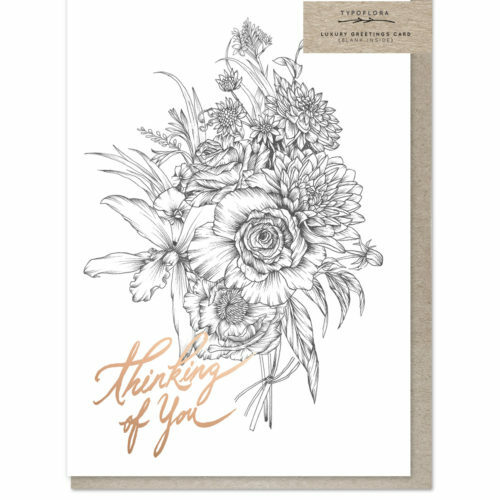 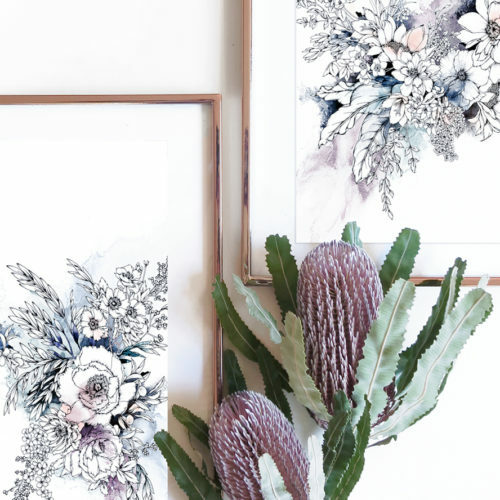 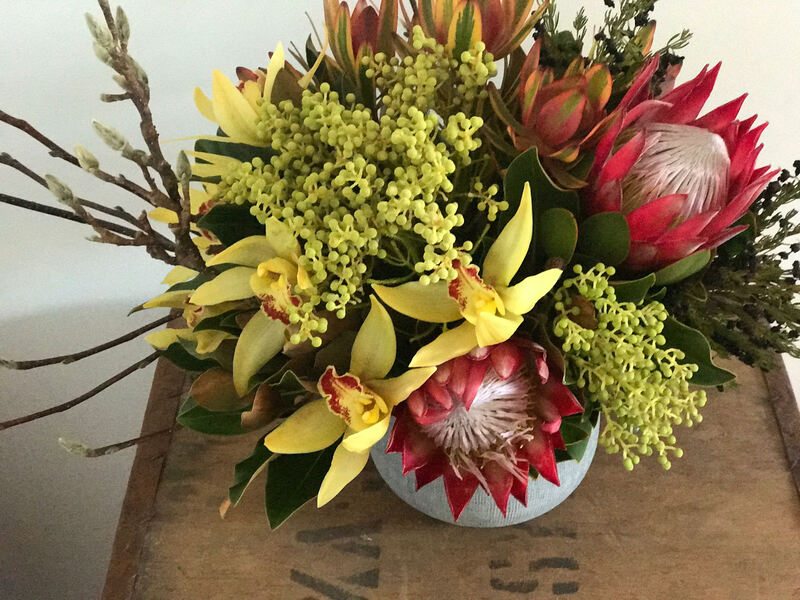 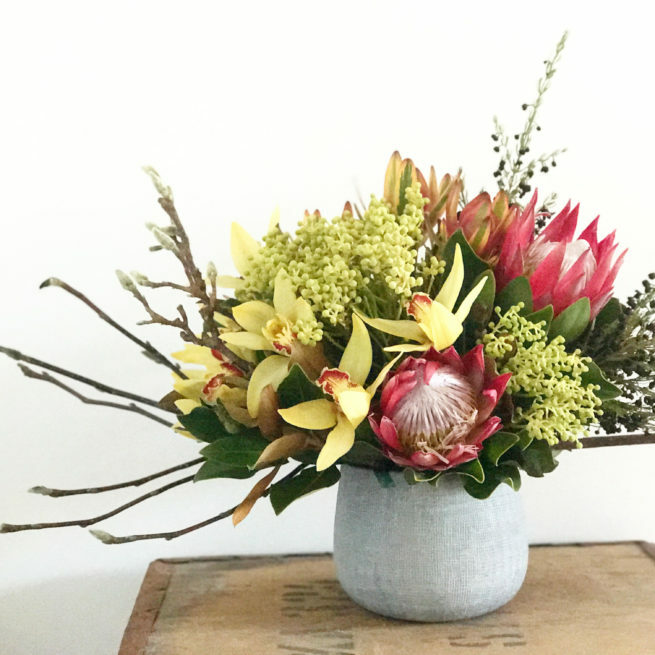 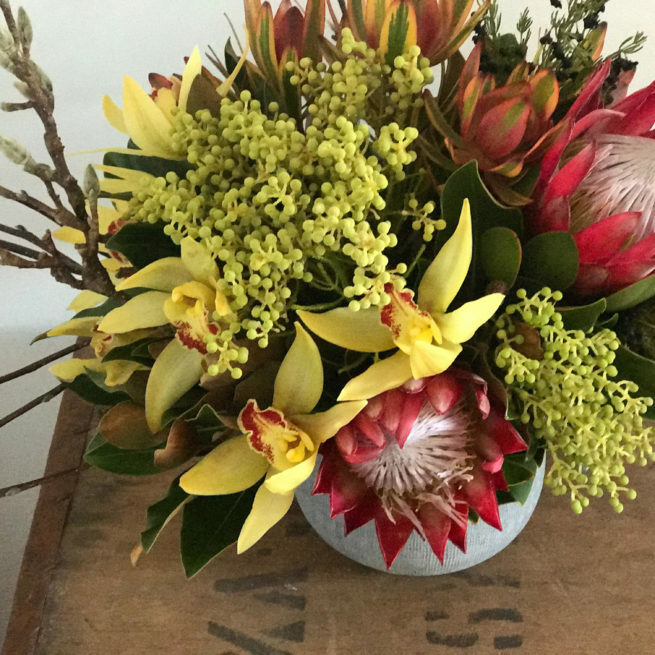 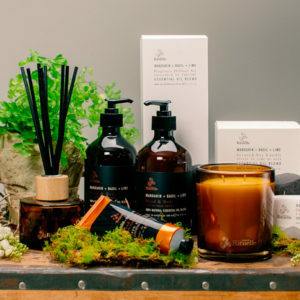 For those who love their blooms a little wild, a little rustic and simply beautiful. 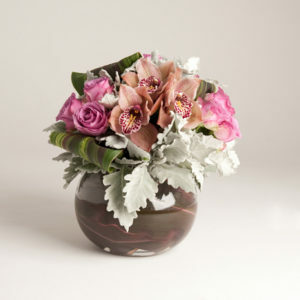 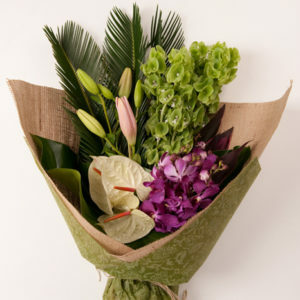 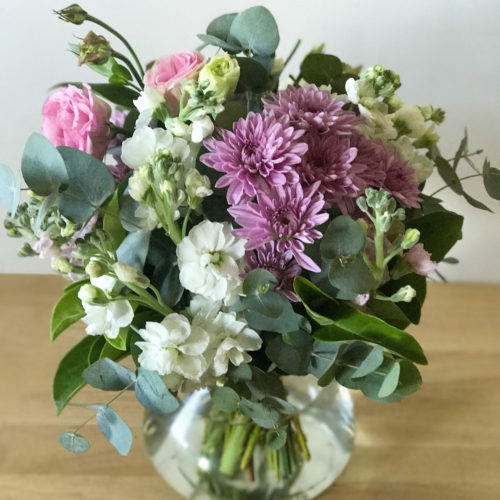 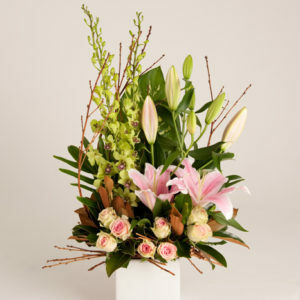 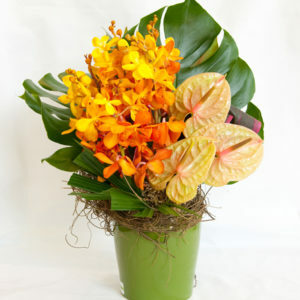 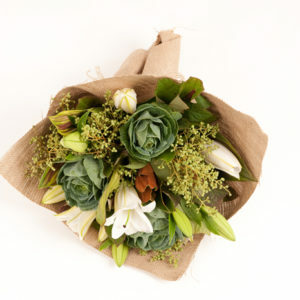 The type of blooms will vary according to what arrives fresh in to the studio on the day of delivery. 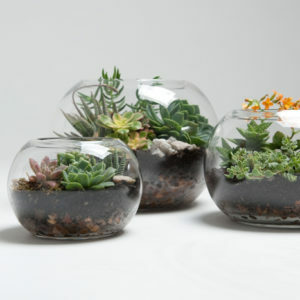 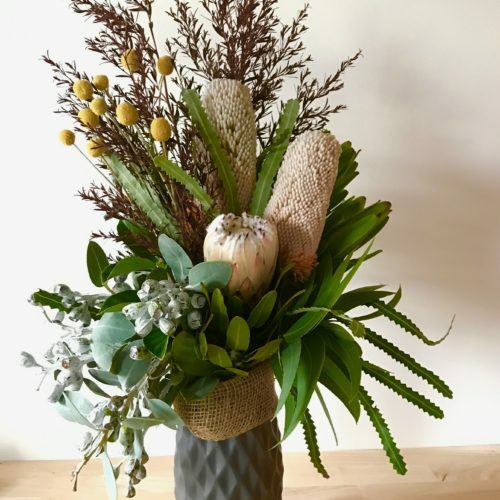 This arrangement comes in a reusable ceramic vase.